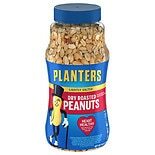 Shop Planters Dry Roasted Peanuts Lightly Salted (16 oz. )16 oz. 2 for 7 dollars and 00 cents or 1 for 3 dollars and 99 cents $4.99 $0.25 / oz. 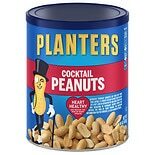 Shop Planters Cocktail Peanuts (16 oz. )16 oz. 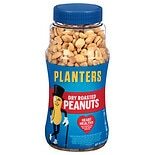 Shop Planters Dry Roasted Peanuts (16 oz. )16 oz. 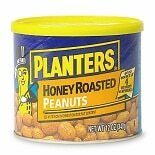 Shop Planters Peanuts Honey Roasted (16 oz. )16 oz. 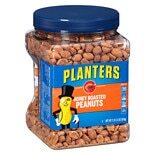 Shop Planters Party Pack Peanuts Honey Roasted (34.5 oz. )34.5 oz. $799$7 and 99 cents$0.23 / oz. 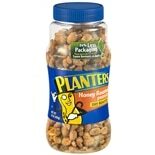 Shop Planters Honey Roasted Peanuts (12 oz. )12 oz.